The work Well will be situated to Nikkilä, area whis is well known for its rich and protected groundwater supplies. Groundwater is pumped from drilled well and pipelined to sculptures steel pipes. Water will be lead to the upper brances of structure. 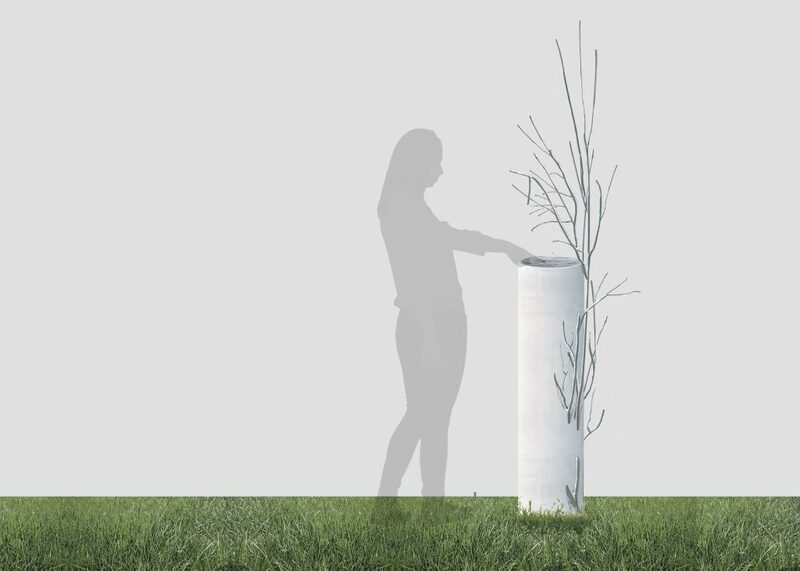 Ground water will drip down to sinklike dip on the top of white concrete pillar. Flow of water is slow to enable delicate dropping of water. Saplin made Acid resisting steel pipes is cast in the white concrete pillar. It “grows” through the concrete and leads the water from well to branches. Water is drinkable and avalable for passers by an residents of area. Well is working also in wintertime. 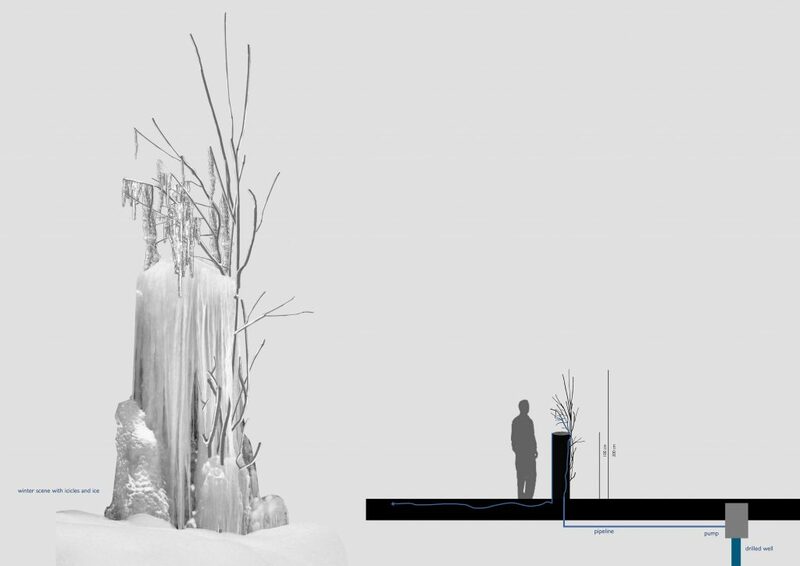 Due to the cold air water will freeze and create icicles and accidental and all the time changing new sculptures on the top of the well.